The Wog Boy is derivative, predictable and silly. I found it, at best, mildly amusing. 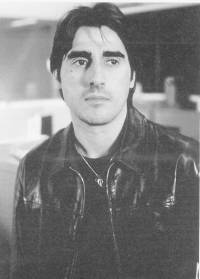 Tony (Nick Giannopoulos) is the son of Greek immigrants. He is unemployed and uses his time to call the bingo for the Greek Orthodox Church. He is vain, sexist and an inverted racist. He loves his car more than anything else in the world. There are a few sight gags, a couple of half decent jokes and some amusing satire, but do not go to The Wog Boy looking for an engaging narrative, for a decent laugh or any interesting and humorous commentary on the perspective on Australia from the first generation of immigrants.